How far can you make €2 go? A cup of coffee? A chocolate bar? How about a building, a centre for autism excellence? All it takes is for you and 10 of your friends, and 10 of their friends etc. to donate just €2 to Snowflakes Autism Support! Why? Snowflakes is at risk of losing its rented premises at the end of this year. In order to be able to continue to offer our much-needed services to families and children with autism in the north Dublin and surrounding areas, we need to relocate. There is so much we could do with a community centre of our own – in-house children’s activities that build vital social and communication skills, youth clubs, siblings clubs, student councils, therapeutic sporting activities, subsidised speech, language, occupational and play therapies, parental support groups, workshops, sensory rooms and so much more. We also run coding classes for the kids and we will have a facility in our new premises to train our older Snowflakes in much-needed job skills. Did you know that 80% of young autistic adults are unemployed? What a waste of talent and skill! Together we can change this. €2 and 10 tags is all it takes. Are you ready to make a difference? Donate €2 today and tag 10 of your friends to do the same. Let’s change the prospects for children with autism together. And apart from feeling great about your contribution, you’ll have the added bonus of being entered into our prize draw for a chance of winning one week’s luxury accommodation in Florida. Who are we? 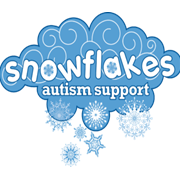 Snowflakes is a charity for children on the autism spectrum and was started in January 2012 by a group of parents who realised the health service didn’t have enough to offer their kids both in terms of services and support. These parents worked together to create a safe community where parents helped their own kids and each other’s kids with autism - whilst successfully creating an environment of support for the whole family. This extends to our parent support groups and coffee mornings and sibling workshops (where siblings get some time just to be a kid outside of the autism home environment) but focuses mostly on our children with autism and their needs. Among charities, Snowflakes Autism Support is incredibly cost-effective. None of our members are more or less than autism parents. Some of us work. Some of us have multiple kids and multiple diagnosed kids even. Many of us don’t get a lot of sleep and have very stressful daily lives. We are doing our utmost to help our kids by working hard for this community. We definitely cannot do it alone. The whole organisation is run by unpaid volunteers who tirelessly donate their time and effort… So, every Euro you donate will be used only on expanding access to our services, by providing a dedicated centre and activities and therapies that help every single child in our community. What we need: A community centre of our own – a centre of autism excellence. Our goal this year: €100,000 towards a building of our own. Why: So that we can purchase our own 'forever home' to provide social and sporting activities, subsidise much-needed therapies, build life and job skills, support parents and siblings, and raise awareness in the community. Why we need this money: Our services are at risk!... We’ve put together a whole programme of activities that families, autistic kids and their siblings love, but we need your help to keep up this work in our own premises and bring these activities to a wider community. Your support will help us fund our forever home – a centre of autism excellence that we hope will be taken up by communities everywhere. Beyond money – we need your help spreading the word. We are a grassroots, hands-on organisation driven by parents and extended families who want to build an inclusive society where all children can fulfil their potential. Ways you can help: -	Spread the word about the Snowflakes Challenge on Facebook and other social media -	Donate your time to help run some of our events (Garda vetting required) -	Donate your services (e.g. painting, carpentry, electrics, etc.) to help transform our new building once purchased -	Contact us at info@snowflakes.ie for some ideas on how you can fundraise for us -	Persuade your employer and colleagues to hold your Christmas party during our annual Snowball (black-tie event) -	Donate prizes to our many raffles. Whatever you do for us, we thank you for your support!